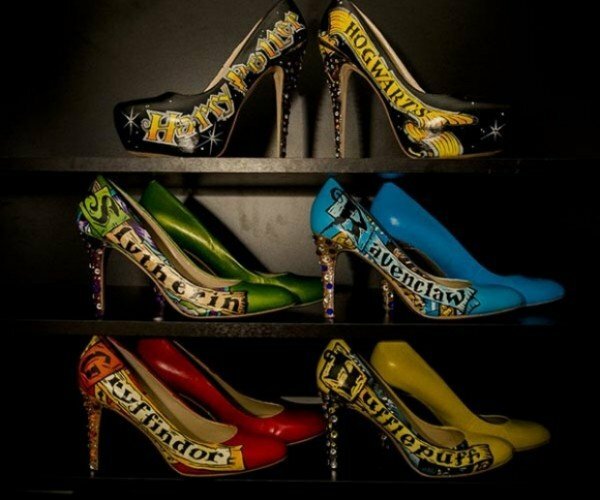 If you love something, wear it. 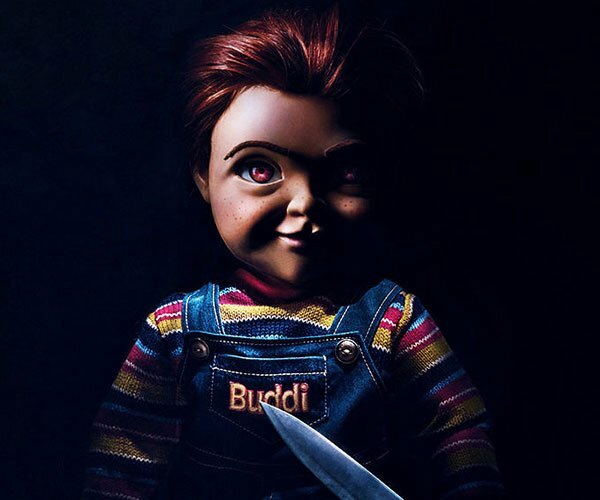 There’s a reason why shirts, sweaters, skirts, caps, and even pants bearing some elements from a movie or TV show sells like hotcakes: its fans just can’t get enough of it. 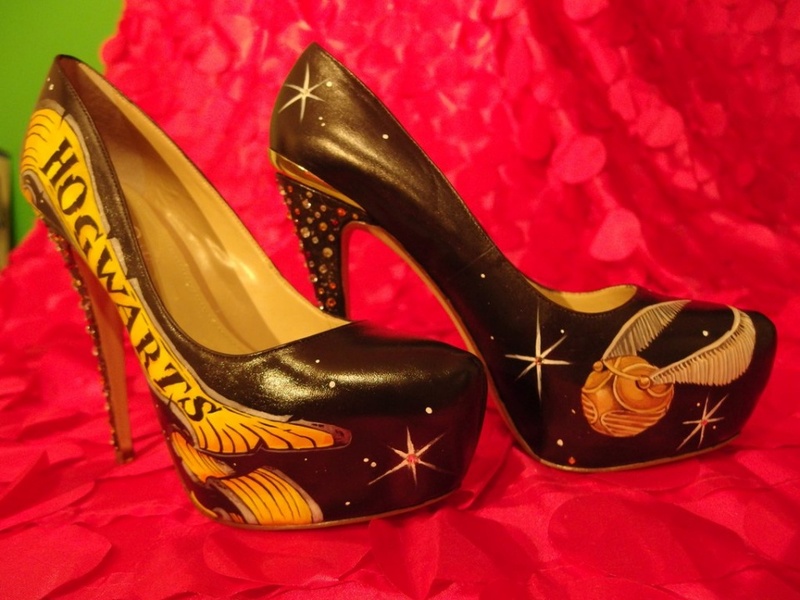 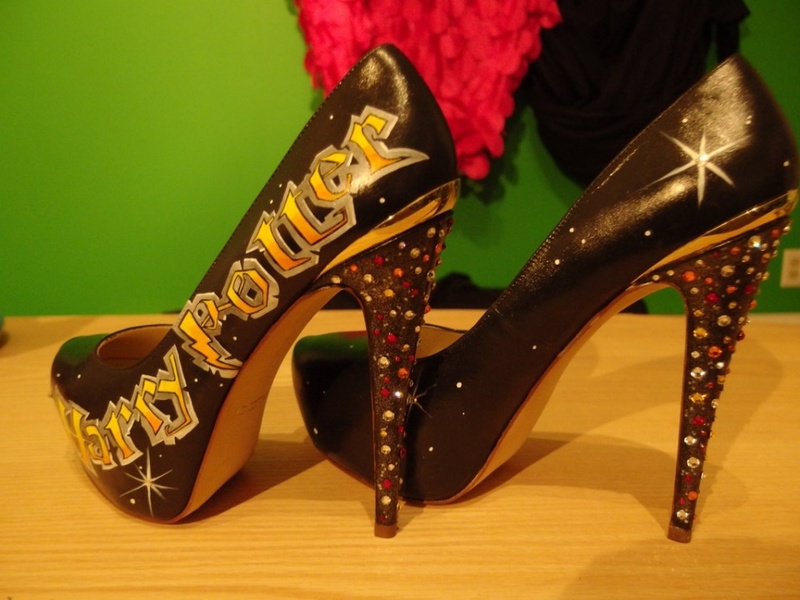 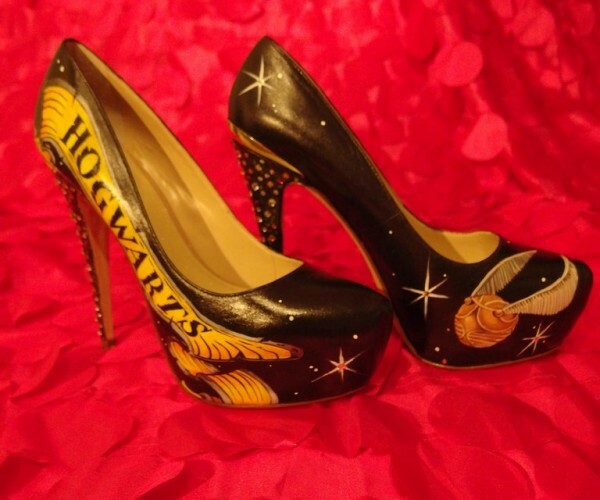 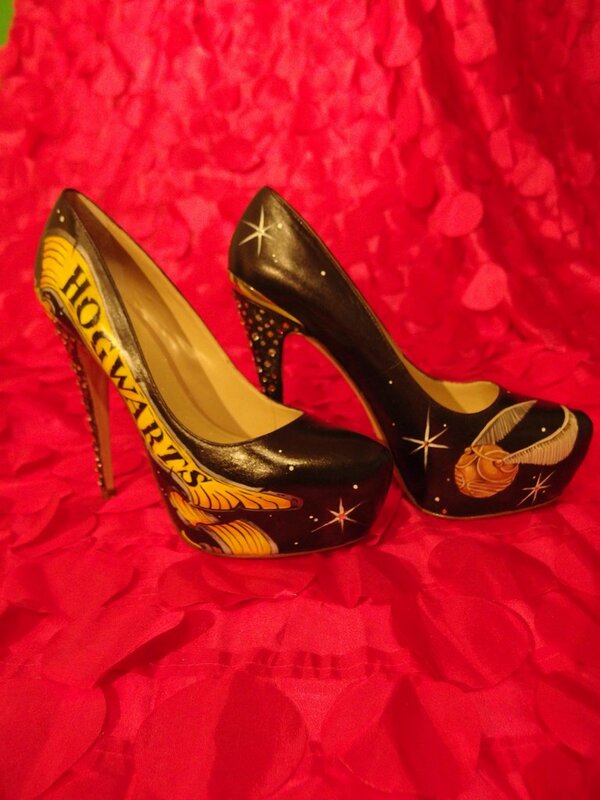 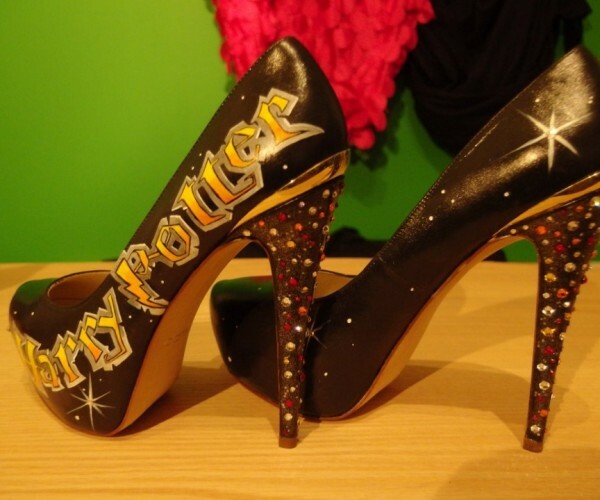 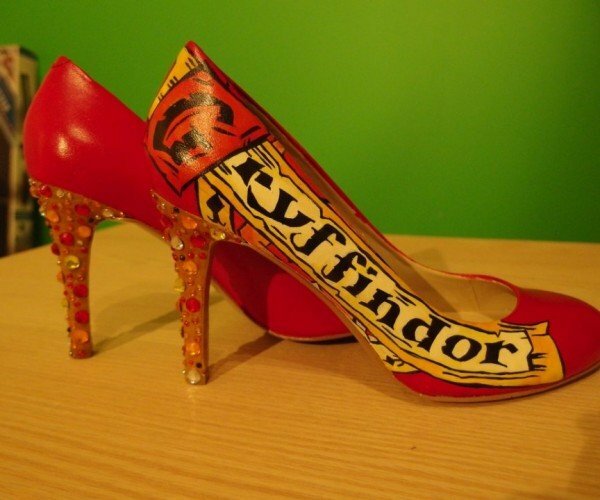 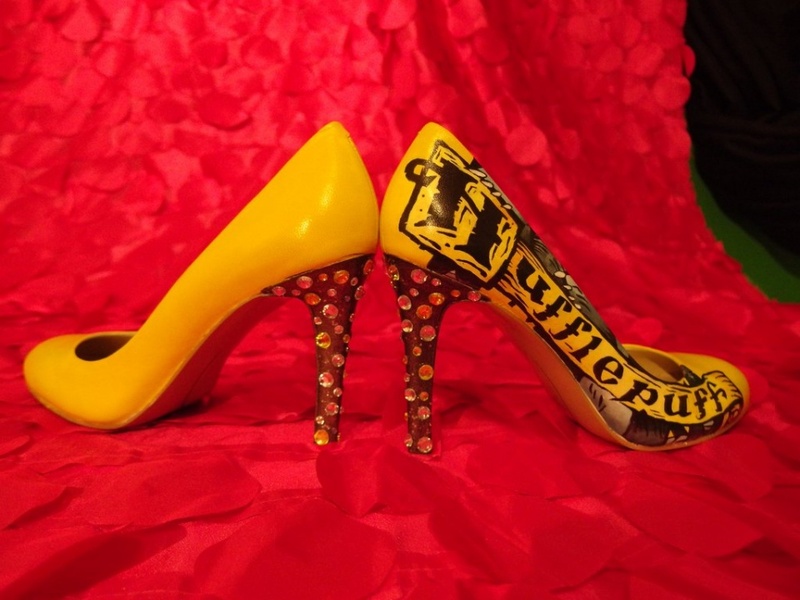 These Harry Potter-inspired stilettos aren’t available in stores, because they were made specially for Redditor akasha446‘s wedding. 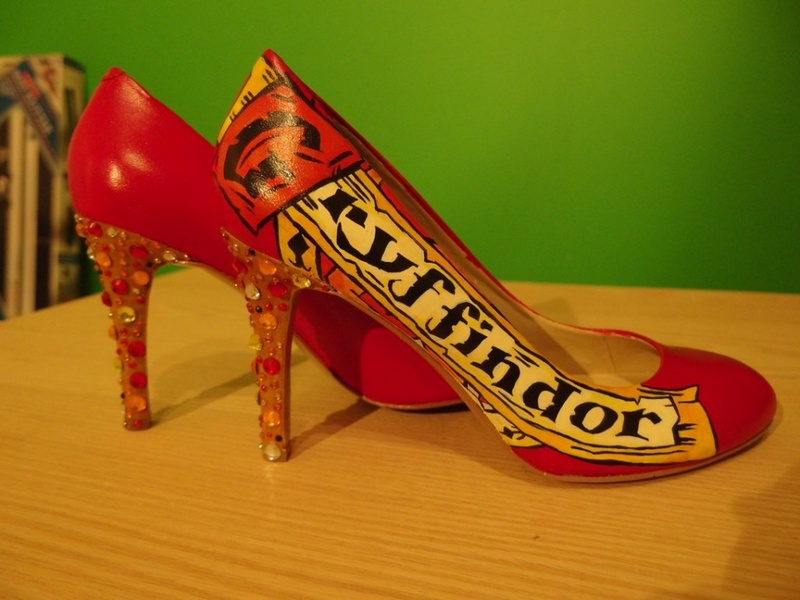 The bride wore the red Gryffindor pair (naturally! 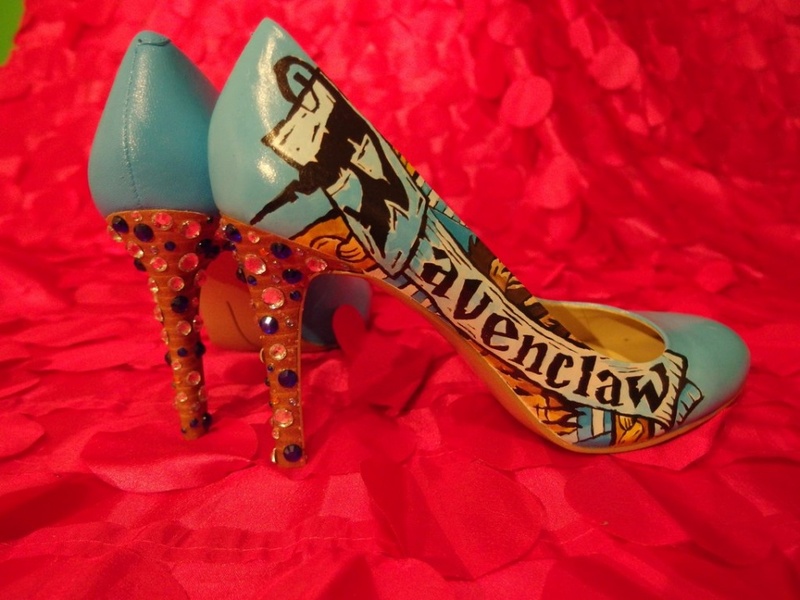 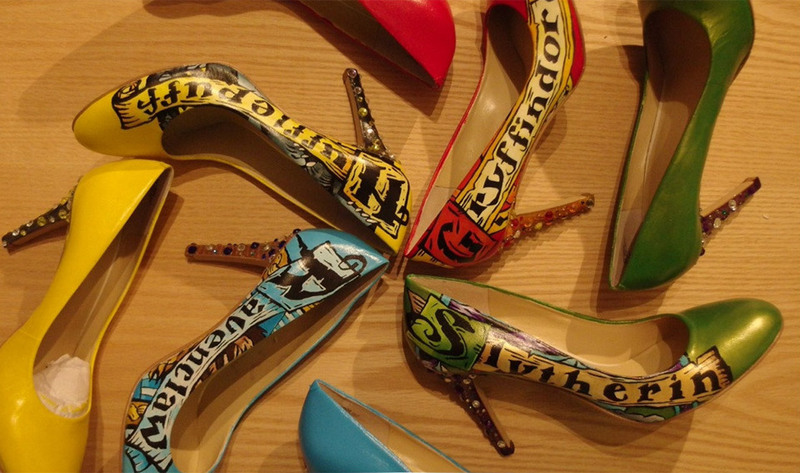 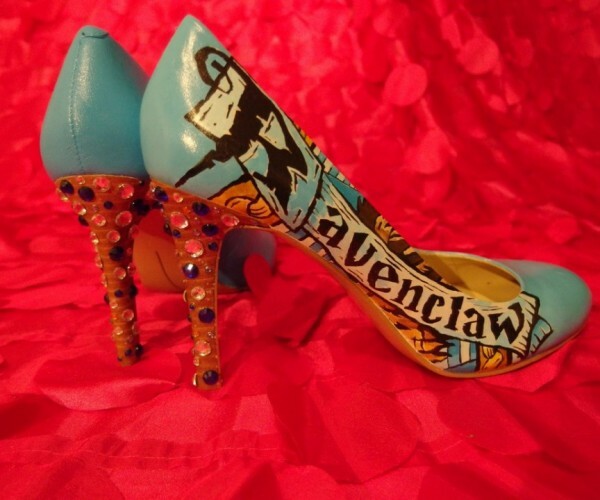 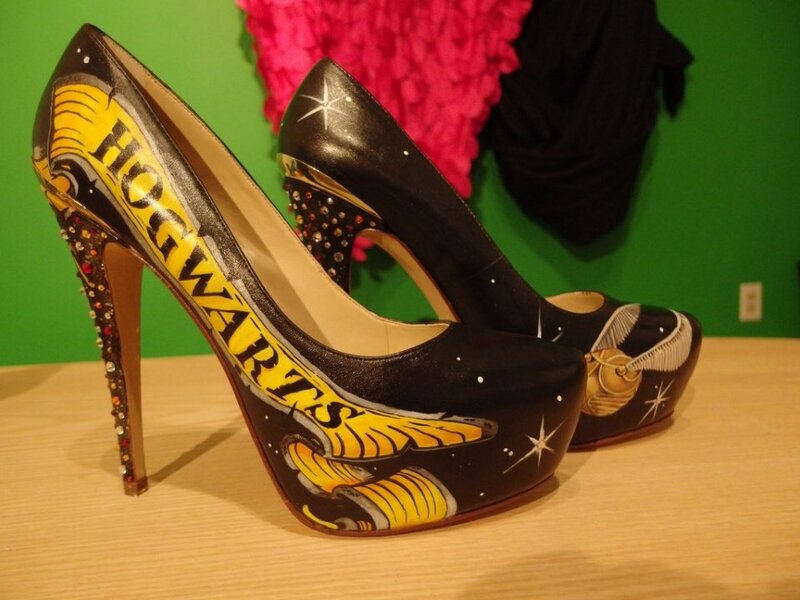 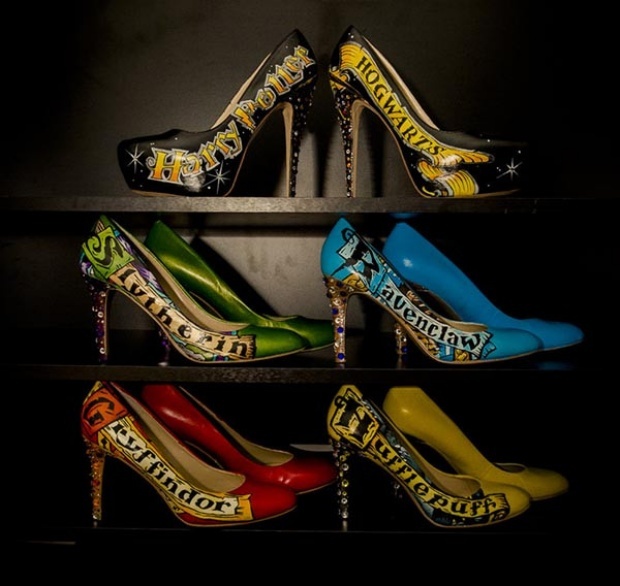 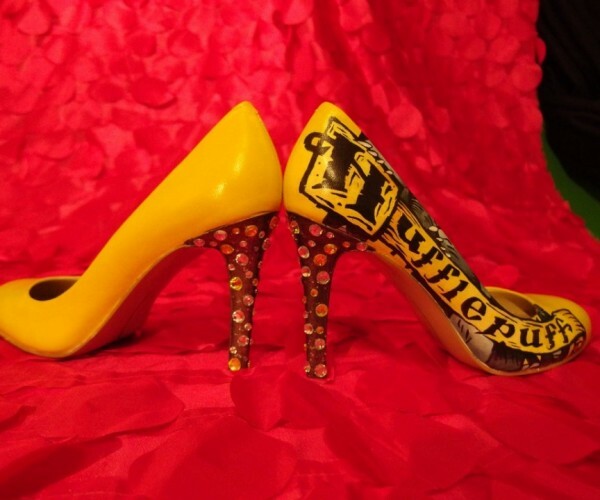 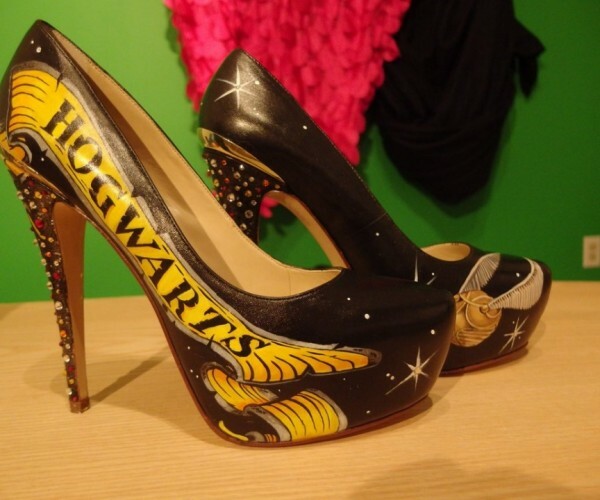 ), while her bridesmaids rocked the heels featuring Ravenclaw, Hufflepuff, and Slytherin house. 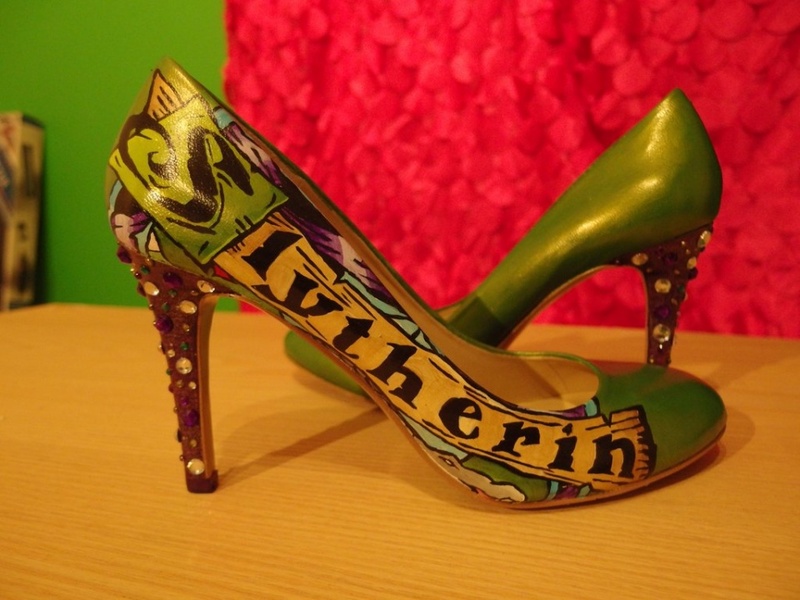 The gems adorning the heels adds a bit of glam to each shoe. 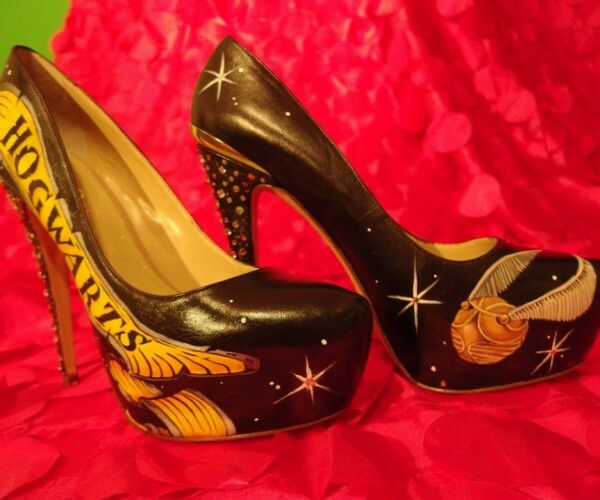 The shoes were hand-painted by akasha446’s sister-in-law, samartypants, who also happens to be a Redditor. 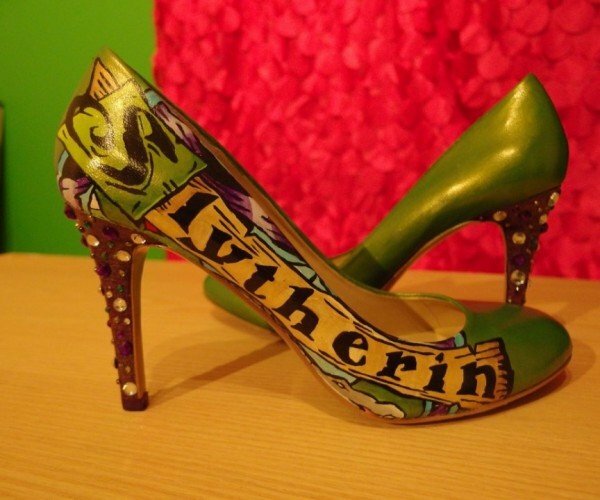 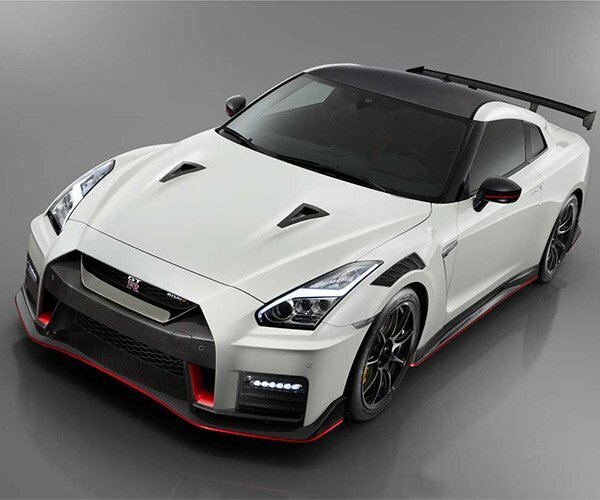 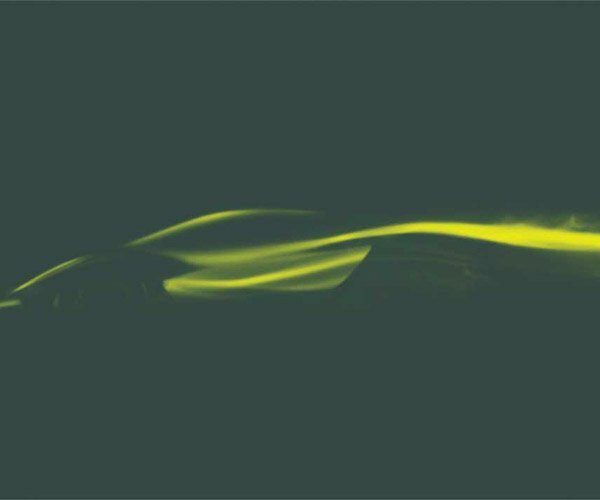 You can check out more pictures of the shoes in the gallery below.